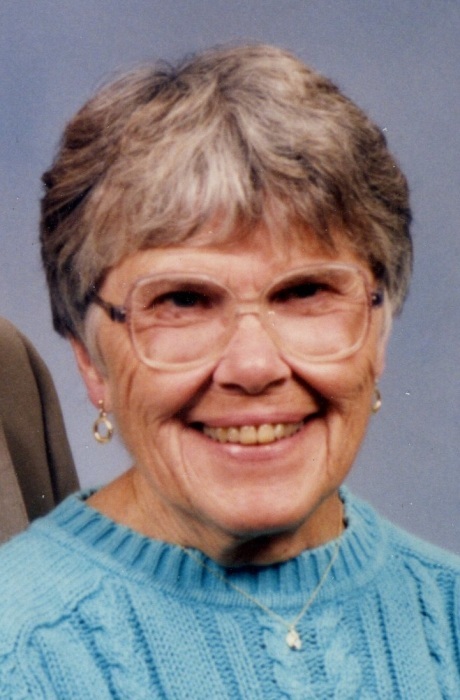 Dorothy Hoyt, 96 of Winona, passed away Thursday, November 22, 2018, at Saint Anne Extended Healthcare, Winona. Dorothy was born June 15, 1922, in Joliet, Illinois to Dorathea (Frisk) and Gustav Peterson, who emigrated to this country from Sweden. She grew up in Evanston, Illinois, attend schools there and graduating from Northwestern University, with a B.S. degree in 1944. She was a high school teacher in the schools of Shawano, WI; Peterson, MN and Owatonna, MN. From 1969 until her retirement in 1984, Dorothy served as a librarian in the Winona Area Public Schools. On August 31, 1963, she married Daniel Hoyt and he preceded her in death August 11, 2015. During their retirement they enjoyed many years of extensive travel in Europe. With Dan’s encouragement, Dorothy traveled to Sweden in 1974 for the first time to become acquainted with her uncle (her father’s brother) and his wife and cousins. Many wonderful visits to Sweden followed as she became acquainted with cousins’ children and grandchildren. Correspondence with the Swedish family continued throughout her life. Dorothy is survived by her daughter Danielle; daughter-in-law Bonita Hoyt, grandson Jonathan Hoyt and his wife Natalie; granddaughter Rebecca (Hoyt) and her husband Eric Madrid and their children: Amos and Leo; granddaughter Jessica (Hoyt) and her husband Ross Gaines and their children: Megan and Matthew and grandson David Hoyt. Preceding her in death were her husband Dan and son Tony Hoyt. Visitation will be 4 to 6 p.m. Friday, November 30, 2018 at Fawcett Junker Funeral Home, Winona. A private family entombment will be at Woodlawn Cemetery, Winona, MN. Memorials can be directed to Saint Anne Foundation Charity Care, 1347 Broadway Street, West, Winona, MN 55987 or the donor’s choice.